An ‘intoxicated’ man had to be rescued from a river in the early hours of this morning (Saturday). Reports that a man had jumped off the Norfolk Bridge into the River Adur in Shoreham were received at 1.30am, a spokesperson from the RNLI Shoreham said. The man was pulled from the water by the lifeboat crew near the Adur Ferry Bridge and taken back to the lifeboat station, the spokesperson said. He was ‘intoxicated’ and believed to have attended the Wild Life Festival at Shoreham Airport, according to the spokesperson. The man was given a warm shower and checked over by waiting paramedics. The spokesperson said: “The man was extremely lucky that he was pulled from the river as the water was cold and fast flowing. 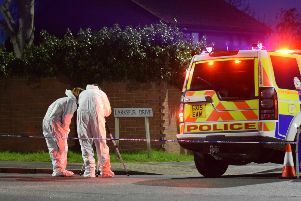 West Sussex Fire and Rescue Service, police and ambulances were also at the scene.